Two fiercely intelligent women: Eve, a whip-smart MI5 security officer with dreams of being a spy; and Villanelle, a mercurial, talented killer, go head-to-head in an epic game of cat and mouse. 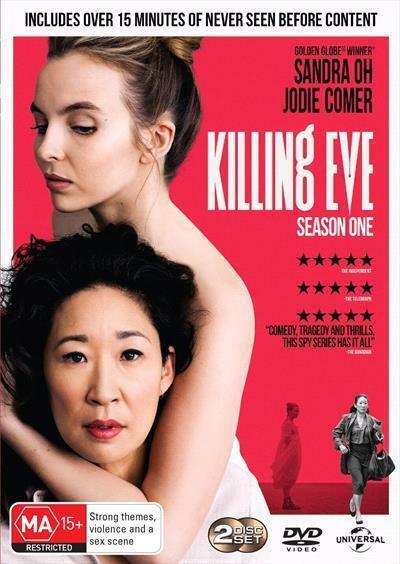 Killing Eve is based on Luke Jennings’s Codename Villanelle novella series, and was developed for television by Phoebe Waller-Bridge. The show stars Jodie Comer and Sandra Oh. Some television shows beg to be binged, others are better enjoyed slowly. Killing Eve, painfully for me, is both. As each episode finished, I desperately wanted to hit play on the following one, but restrained myself to better savour how excellent this show is. As the series opens, MI5 are tracking a particularly psychotic assassin, one who they have not been able to gather any solid information on. Eve Polastri, played by the marvellous Sandra Oh, is an intelligent but poorly-utilised MI5 worker trapped doing monotonous desk work. She has a theory that this assassin is a woman, but her ideas are dismissed. As it turns out, she’s exactly right. The killer (played, also marvellously, by Jodie Comer), is given the codename Villanelle by MI5. Villanelle is an elusive assassin at the top of her game, whose brand of off-kilter ultra-violence is unsettling for even the most hardened agents. Eve becomes obsessed with bringing Villanelle down. In the process, she risks her career, friendships and even her relationship with her husband. But the mystery of Villanelle’s true identity is unravelling, and Eve’s focus can’t be broken. Gradually, the two enter into an obsessive, strange and wonderfully creepy game of cat and mouse.